CivilizationRoman, 100 C.E. - 300 C.E. 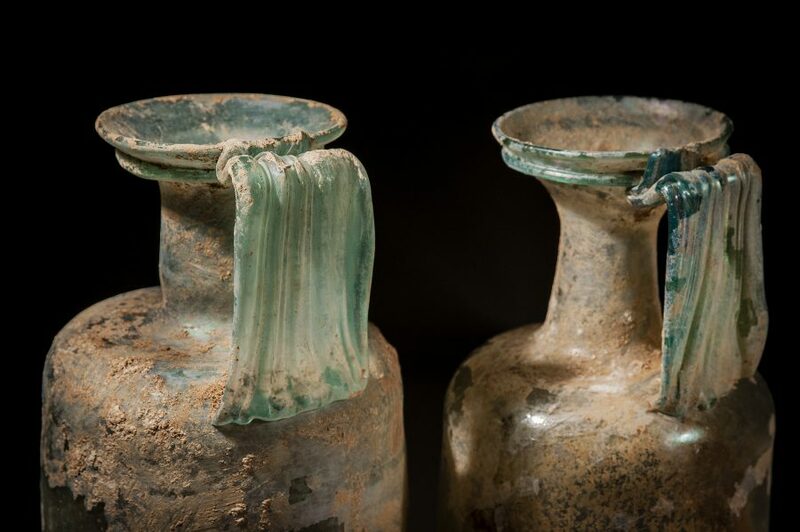 These wonderful glass ewers were made by the same craftsman and display the high quality of Rome’s early glassworks. 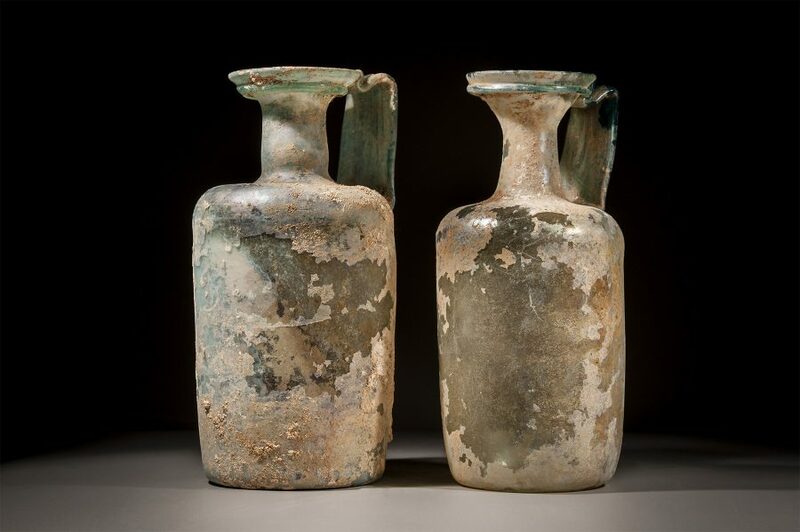 Similar in style, these pieces highlight the malleable nature of ancient glassblowing technology. The bodies are similarly sized yet lack uniformity, while the necks are of the same height yet of different shape. The mouths of each contain the same ringed decoration, while the wide strap handles were both applied with the same technique to create the supple rippling that defines each. 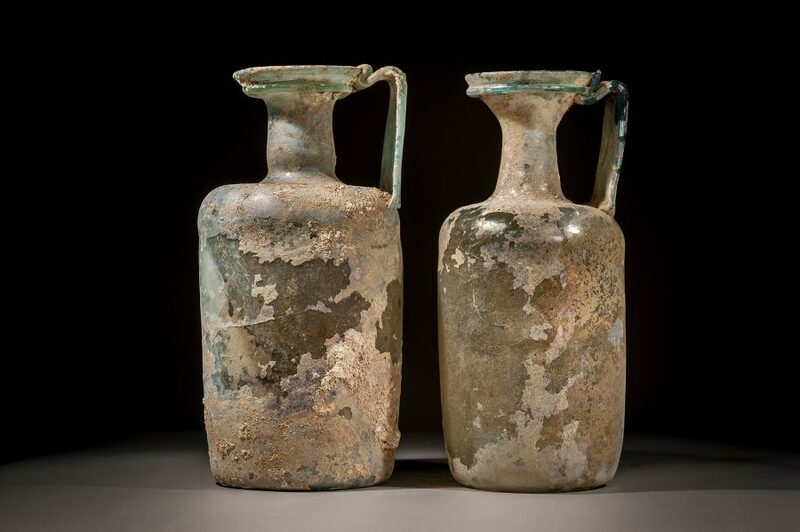 These pieces were made in the golden age of glassmaking in Ancient Rome, when the Empire’s expansion allowed for increased access to the raw materials and technologies required for the mass production of glass.